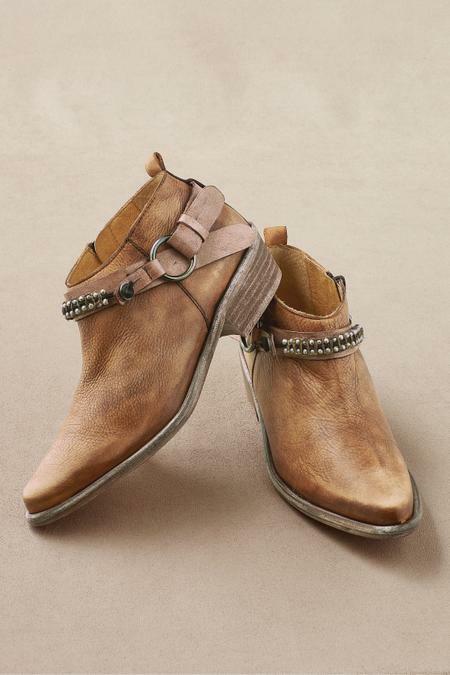 Expertly handcrafted in Spain, these leather booties are distressed to suggest miles. Embellished with a studded macramé strap and an adjustable O-ring harness in a desirable neutral tone. Leather and fabric lining, padded footbed, leather sole.